Birds sing songs to bring in their valentines, usually in the early morning. Some birds will sing back and make a duet. Cardinals will sing to each other. Males sing out for the females along with showing off their red-hot candy-colored feathers. Females will sing back. Male cardinals will also bring a gift, a seed for the female to eat. Some mammals have to get tough and show their strength to win a valentine. In Missouri, white-tailed deer are among the toughest. During breeding season, bucks travel together in bachelor groups. They're very competitive and fight to dominate. Size, strength, and experience are all important. Usually the winners will have the best chance to attract a doe. Males species often have flashier colors to attract females. In the spring, male wood ducks grow bright feathers and swim around showing them off. Their technique is called a wing-and-tail flash. They usually find a valentine by January. Fireflies flash signals in the dark. There are 200 different kinds of fireflies in North America and their valentines match up with those flashing the same patterns as their type. Male prairie chickens are fast on their feet. They stake out their own spot to stomp and boom for the attention of female hens. They will fight other males who get too close to their space. Each spring, males gather on booming grounds, called leks, on the prairie and begin their special dance. The females pass them by until deciding on a mate. The booming sound is made by forcing air through their orange throat sacks and can be heard a mile away on a still day. 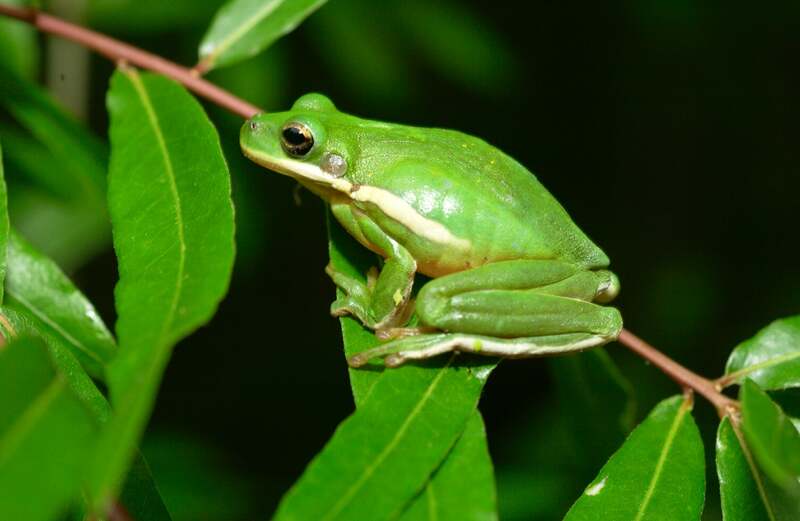 On spring nights, you can hear frogs calling out to their valentines. The louder the call, the better their chances. The rare prairie mole cricket has only 30 hours to find a valentine and replace a generation. In late April or early May, they sing a serenade at sunset on clear, calm nights. They build tunnels with their mole shaped forelegs and rub their wings to sing. This acoustic chamber is like an amplifier boosting their call across the prairie Only the loudest and strongest find mates. Look and listen for these and more showy animal displays this spring. Happy Valentines Day! A singing cardinal is a sure sign spring is on its way. Male prairie chickens booming on leks in spring to attract females is a colorful sunrise ritual in spring at conserved grasslands like Dunn Ranch. Why are the very few squirrels in the woods?